The Mass is the most important and sacred act of worship in the Catholic Church. The Mass incorporates the Bible (Sacred Scripture), prayer, sacrifice, hymns, symbols, gestures, sacred food for the soul, and directions on how to live a Catholic life — all in one ceremony. Through time and space, we connect with the original Last Supper. The Church teaches that the Mass is the re-presentation of the sacrifice of Calvary. This is misunderstood by many who claim that the Mass is a re-crucifixion of Christ. Jesus Christ celebrated the first Mass with His disciples at the Last Supper, the night before He died. 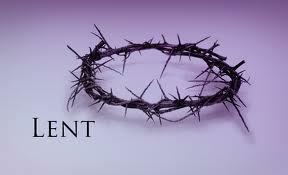 He commanded His disciples, “Do this in remembrance of me” (Luke 22:19). The celebration of the Mass then became the main form of worship in the early Church, (2000 years ago) as a reenactment of the Last Supper, as Christ had commanded. Each and every Mass since commemorates Jesus’ sacrifice on the cross through the Holy Eucharist. Because the Mass “re-presents” (makes present) the sacrifice on Calvary, Catholics all around the world join together to be made present in Christ’s timeless sacrifice for our sins. There is something fascinating about continuing to celebrate the same Mass—instituted by Christ and practiced by the early Church. Study Church history and see how the early Christians celebrated Mass, and you will see it is the same as how Catholics celebrate it today. Attending Mass is not just an obligation, it’s a privilege. God knows we need it, and it is His gift to us. Mass should be the highlight of our week. We should look forward to going, and when we don’t, it’s a reminder that we need to work harder to more fully understand the reality of what happens at Mass. 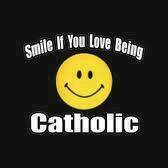 If you are a Catholic, you are supposed to go to Mass every week, and on Holy Days of Obligation. If you don’t understand the Mass, or are bored, and are looking for better “entertainment” – then pray for understanding. We don’t go to Mass to be entertained, or demand that the priest’s homily be exciting, or if it isn’t we aren’t going back. Some priests are more gifted with amazing homilies. Some are not. Pray for them all and go to Mass regardless. If you’re looking for great entertainment every week, your priorities are all wrong. Go whether you feel like going or not. Love is much more than feelings. (You feed your children every day out of love for them, whether you feel like it or not.) Going to Mass is good for your eternal soul. It’s human and natural to forget, want to sleep in, take it for granted, or become numb to it, but we have to continually work to overcome that trap. The devil is real and loves it when you stay home. At Mass we are being offered the greatest gift God has to offer – the source and summit of our Faith, Jesus Christ Himself in the Eucharist. Learn your faith. 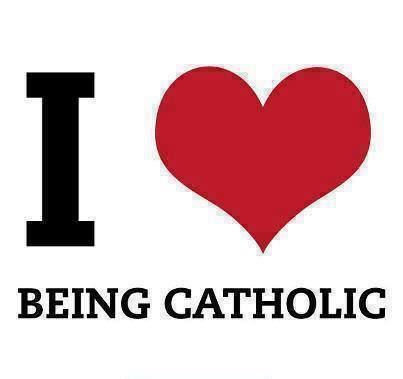 Ask questions, study, read the Catholic Bible, and learn what it means to be a Catholic Christian. So many Catholics stopped learning about their faith after their Confirmation. 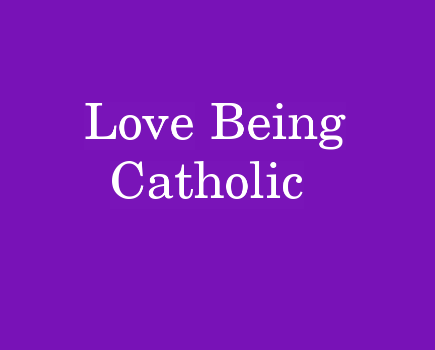 Some of the most passionate Catholics today are those who converted to Catholicism as an adult, and understand the meaning of the Mass and the Eucharist. So many of us did not understand the beautiful truth of our faith when we were young, but are now re-discovering the truth and beauty of it as adults. Learn your faith and learn why we do what we do. Don’t be tempted to leave the church, founded by Jesus Christ, for better entertainment, and if you have, please come back. At Mass we get down on our knees to humble ourselves before our King. It’s not about “us” remember. We go for Him. We understand the importance of the sacred and the holy, and how truth and beauty draw us closer to God, so that we can bring His love to others. We need God, though so many in our world today tell you not to worry about what God thinks of you, but only how you treat and love each other. Of course Jesus wants us to love one another – we love and serve the lonely, the sick, the poor, the disabled, those in prison, the immigrants, men, women and children around the world, but we also love and care what our loving God thinks of us, and we worship Him as Jesus instructed us to do 2000 years ago. When we receive the Eucharist, we truly, physically receive the body, blood, soul and divinity of Christ, of God Himself – at every Mass. If you’re looking for a personal relationships with Jesus Christ, you can’t get any more personal than when you receive Him in the Eucharist. The Eucharist is the source and summit of our Catholic faith. Christ is truly present in the Eucharist with or without a dynamic homily. Notice how it is the altar that is front and center at a Mass, not the pulpit or a personality. Notice how when the priest and deacon enter and leave Mass, they bow down and kiss the altar. They aren’t kissing a pulpit. The Mass is a sacrifice. We go to Mass to worship God, hear His holy word in the Liturgy of the Word, and receive Christ’s body, blood, soul and divinity in the Eucharist. An inspiring homily and beautiful music absolutely add to the beauty of the Mass, but even without these things, Christ is truly present in the Eucharist. 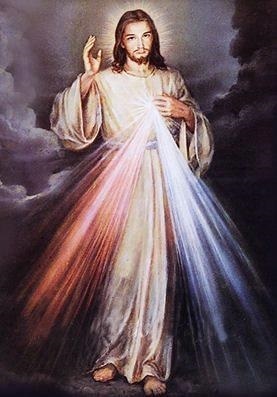 That alone should make you want to never skip Mass, be there on time, not leave early without a good reason, and thank God for this wonderful gift. Read, study, seek more understanding, and most of all, pray that you will come to a better appreciation and love for this most beautiful gift that Jesus Christ instituted at the Last supper 2000 years ago. God loves you. If you haven’t been in a while. Please go. And keep going back. Wishing you all a beautiful Sunday!